We are Opticians that specialized in the art of making and fitting adults and pediatric eyewear. Our staff is friendly and knowledgeable in the latest in digital lens technology. We have over twenty years of experience in the Optical industry. We stock the best eyewear in town for adults and children. Most prescriptions can be filled within a half hour. We do all types of repairs on eyeglasses. 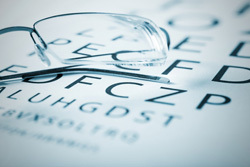 Our office provides a ten minutes eye exam by Smart Vision Labs, so stop by and have your glasses prescription updated. Spring is here now...so lets protect our eyes with prescription and non-prescription UV sunglasses.